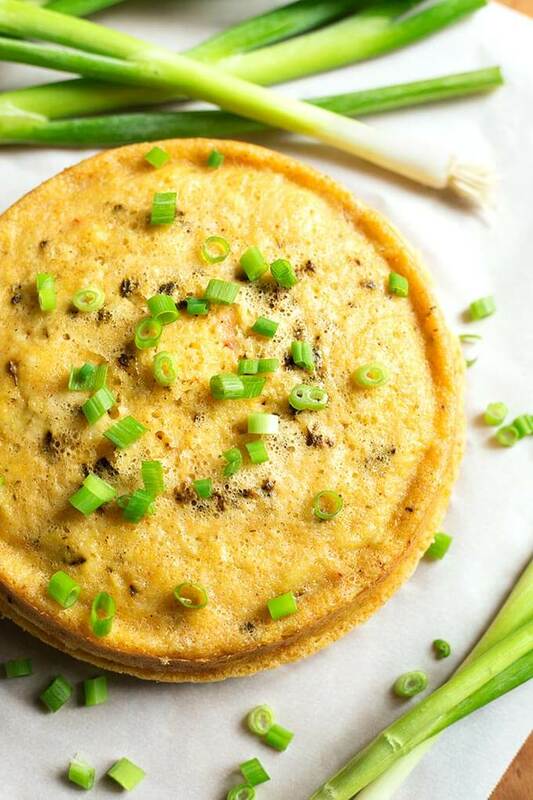 Instant Pot Southwest Corn Pudding is a perfect side dish to make in your electric pressure cooker. 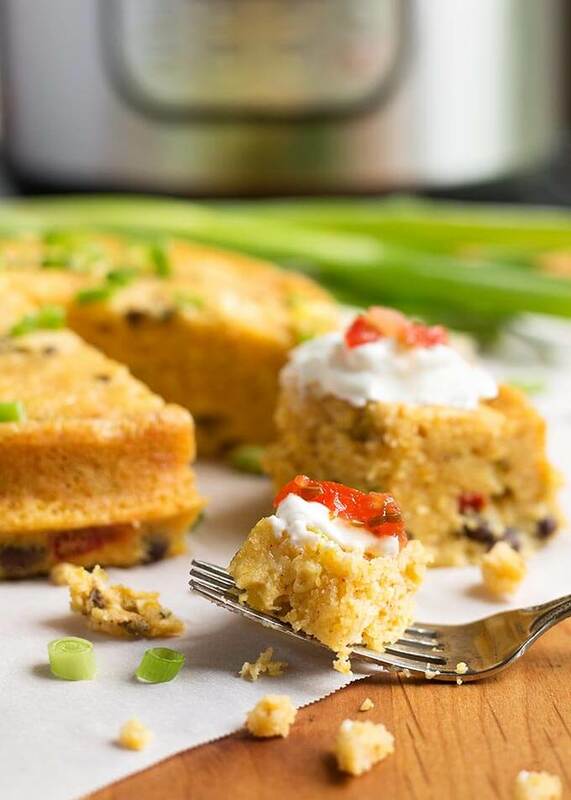 Full of that Tex-Mex flavor, and so delicious, this pressure cooker corn pudding is easy to put together. I’ve always enjoyed corn bread, Mom made it for us fairly often. Usually she just used the little box of mix and made corn muffins. We’d put those in the bottom of our bowl and pour a generous ladle full of her homemade chili right over them! So good! So let’s revisit that cute little box of cornbread mix for something a little different! This dish is very moist, and though it is called a corn pudding, it isn’t that creamy texture you get from actual pudding. 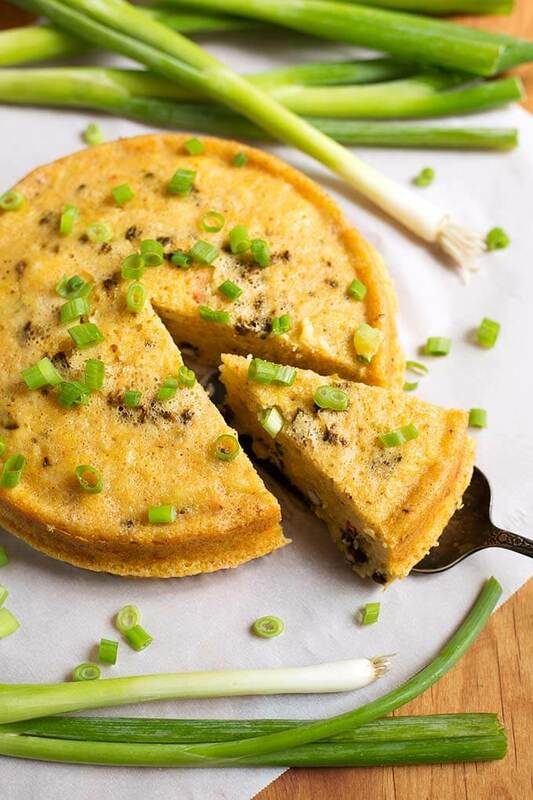 This leans closer to a corn bread that is dense and moist. It has a nice savory tone to it, as opposed to the sweeter corn puddings made with cream corn and have added sugar. This Instant Pot Southwest Corn Pudding is great on its own, but would be delicious in that bowl of chili, too! I enjoy cooking with my Instant Pot, and like I said before, this is the kind of dish that is best cooked in a wet environment, so pressure cooking it is perfect! Serve with a dollop of sour cream, salsa, a little hot sauce, or along side my Instant Pot Black Bean Soup, for a Tex-Mex feast! 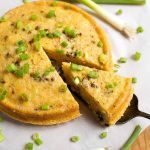 Instant Pot Southwest Corn Pudding is a perfect bread type of side dish to make in your electric pressure cooker. Full of that Tex-Mex flavor, and easy to put together. Spray a 1 to 1 1/2 quart dish with cooking spray (affiliates: I use a 7" stackable stainless pan with a 7" parchment round on the bottom for easier removal). Pour water into the inner liner of the Instant Pot Pressure Cooker. Place a (affiliate) tall trivet/rack in also. Pour into prepared pan and cover tightly with foil. Place pan on rack in pot, using a sling. Put the lid on the pot and lock it into place. Close the steam release knob (Sealing position). Press the Pressure Cook (or Manual) button, and then the + or - button to choose 50 minutes. When the cooking cycle has ended, let the pot sit and naturally release the pressure for 5 minutes. Then open the steam release valve by turning the knob to the Venting position. When the pin in the lid has dropped down, open the lid and carefully remove the corn pudding to a cooling rack. Let the pudding cool with the foil in place until ready to serve. To serve, flip the corn pudding onto a plate and gently shake the pan, if necessary, to release it. Remove the parchment round, if using, before serving. Garnish with sour cream, green onion, salsa, hot sauce, or eat as is. What would be the oven temperature for the corn pudding recipe? I don’t have an ip at this time. Thank you. It would be 350 for 35 to 50 minutes. wish this recipe was written without the packaged mix. Many of us can measure cornmeal and baking powder. Lots of people love that little blue box, so I wanted to make a recipe for it. I have a regular cornbread recipe that is from scratch, but I haven’t posted it as I was making it for the egg bite molds first, and haven’t perfected it yet.